It's technically Friday here in Tennessee and since I've finished this one I'll upload it now. 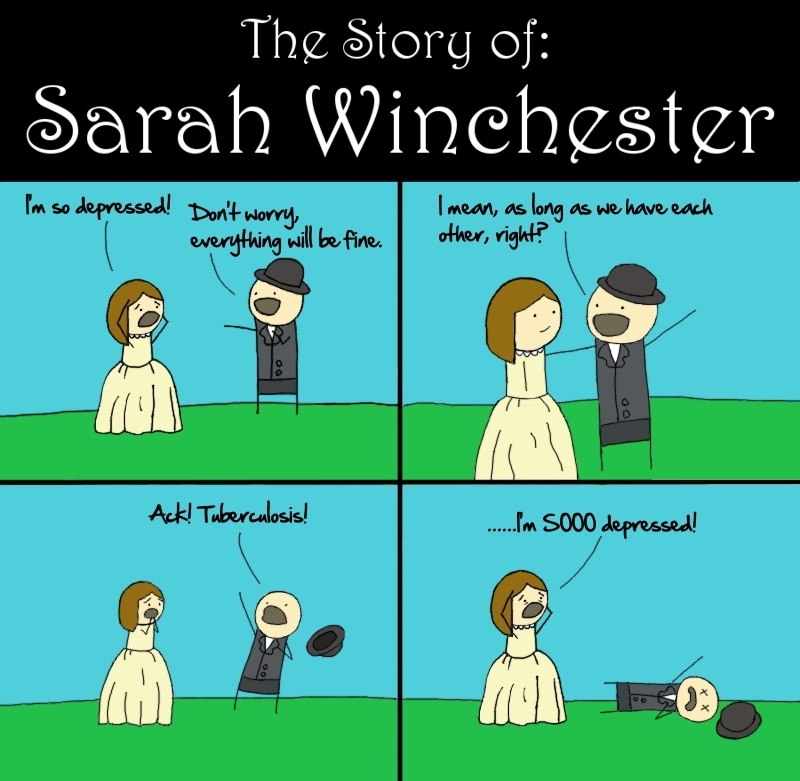 Sarah Winchester had a pretty crappy life. Good news though, no more depression after this! This promises to be the most humorous retelling of this story I've ever seen. I think I want my last words to be "Aaah the tuberculosis!" You could rewrite this with very little difficulty to be the story of Edgar Allen Poe. I bet it's the kind of Tuberculosis Billy Mays would have had. Someone shot me with tuberculosis! My whole life of lead shooting now seems so silly!